Raimy makes a startling discovery that leads her to reach out to Frank to voice her concerns. Season Final. Raimy and Frank make a huge discovery while continuing their search for the Nightingale. Raimy and Frank end up in the thick of things. Meanwhile, Frank learns the meaning behind a betrayal. Detective Raimy Sullivan is stunned when a voice suddenly crackles through her father’s old, long-broken ham radio – it’s Frank Sullivan, somehow transmitting over the airwaves and through the decades from 1996. Separated by twenty years, father and daughter have reunited on a frequency only they can hear, but can they rewrite the story of their lives without risking everyone they love? 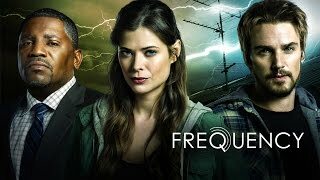 Currently you are able to watch "Frequency" streaming on Netflix or buy it as download on Apple iTunes, Amazon Video, PlayStation, Google Play Movies.